A holiday today so it was a slow day here, just the necessary work was done, so everybody could spend the day keeping cool, it was nearly 100 here so we all suffered, cows and people alike. 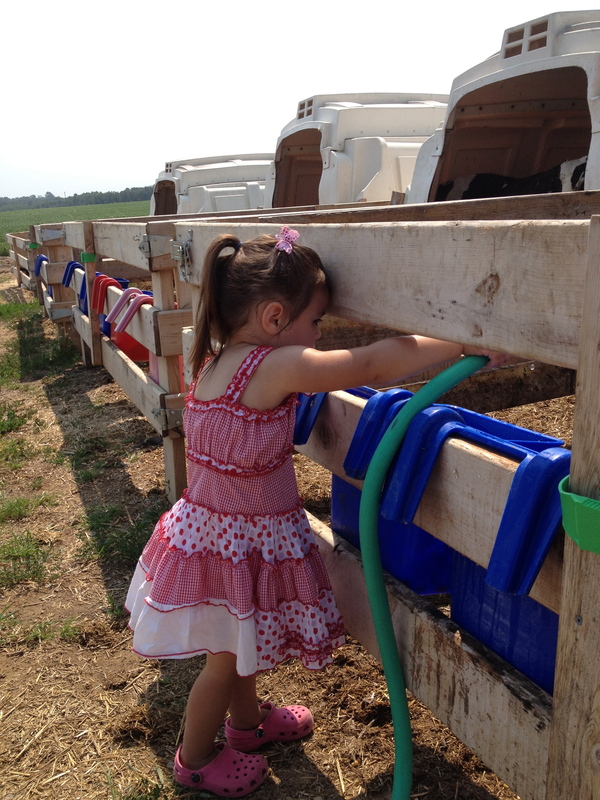 Something that has been fascinating to me is how fast my daughter has jumped into the farming life, she loves to be around whatever is going on, whether it is around the animals or begging rides from whoever is driving around, so I got a couple of her in action today. 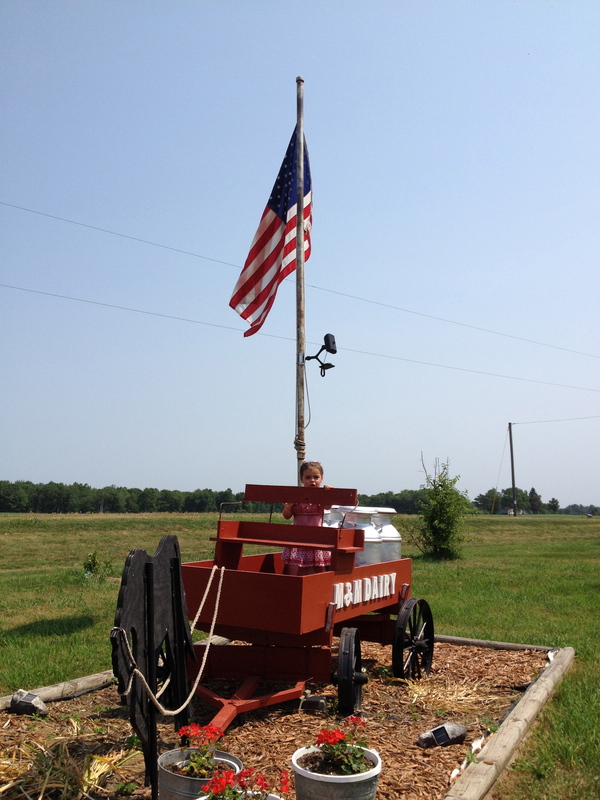 By the flag, Happy 4th of July. 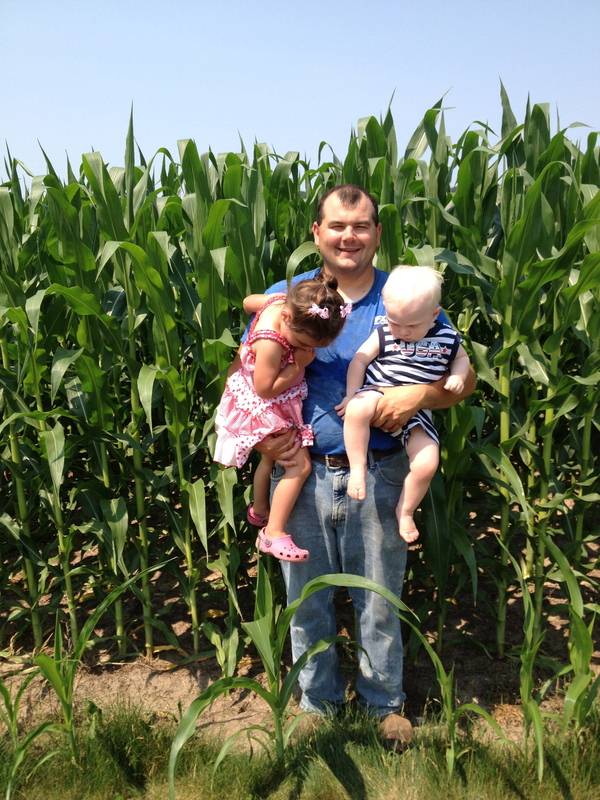 And finally, the kids and I with our “knee high” corn, sorry they wouldn’t look at the camera, or stand next to me!!! Hope that you all had a safe and happy holiday. Stay Cool wherever you are. 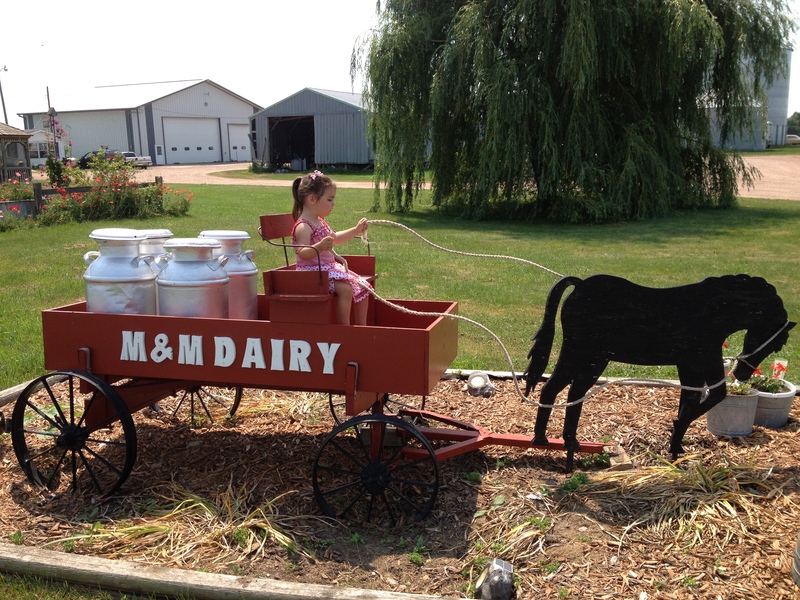 This entry was posted in Agronomy, General Information and tagged agriculture, agronomy, Animals, baby animals, calves, corn, dairy farming, factory farming, family farm, farm kids, feeding calves, knee high by the 4th of july, organic farming, production agriculture, Wisconsin dairy farming. Bookmark the permalink.